Are you ready for the big event at Lee Bottom? Have you told your friends, invited them along, and made your plans? We hope so. After last year's rain out, we could really use a great turnout to recharge our batteries. If you or someone you know would like to attend, keep reading. There are just a few weeks until the 2010 Wood, Fabric, and Tailwheels Fly-In. For those that plan on attending, you'll want to finalize plans soon because other events are going on in our area during the same weekend. 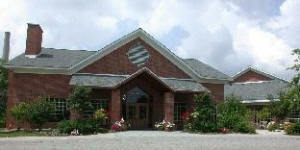 Therefore, we recommend that you book lodging and rental cars as soon as possible. Here is some information to help you make plans for attending the fly-in. . .
Be sure to tell them the group code "0924LB". There is a 2 night minimum due to event weekend. If you have problems, Kim Gardner is our contact person. Reservations required by August 28th. The Enterprise in Madison Indiana is offering a "Pick of the Lot Program"
All cars will be guaranteed to be a 4 door and hold a minimum of 4 people. They will have unlimited mileage. This special will includes Enterprise delivering and picking up the vehicle from Lee Bottom. The earlier that you arrive the better the selection. This special can only be booked through the Enterprise Madison, IN location 812-265-6260. * Camping with your airplane is great and we love seeing you here! 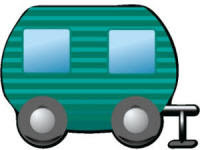 CLICK HERE To reserve one of the 30 spaces for RV/Motorhome/Car camping with tents or campers. Also be sure to read all the extra information about the approach roads. It is very difficult to get food vendors to attend an event in the middle of nowhere with no services available for food preparation, and no idea of how many people are going to show up. In order to keep your costs minimized, we do not ask our food vendors or caterers for percentages of food sales and do not charge them a set-up fee. Therefore, we hope you will help us support these great people that show up every year to make the event special. If a meal is not listed here for a time or day you would like to eat, you are on your own and should plan accordingly. Dinner - 6:30PM Cost is $15 per person. 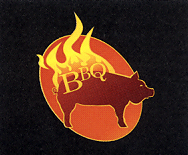 If you plan to attend the BBQ on Friday night, we have to get a RESERVATION ** from you by noon September 17th. You can also prepurchase a ticket online. The dinner costs us around $3000 up front and we need to know an accurate count of how many people will be here. A cash bar will also be available for premium mixed drinks, wine and beer. Dinner – starts around 6:30 and cost is $12.50 per person. As we have done in the past, the Friday and Saturday dinners will require a reservation. The providers of these meals require us to make accurate counts and to guarantee food amounts. We are responsible for paying for the guaranteed amount no matter what happens. The cost of all meals is passed onto you at our cost and we do not charge the caterers/vendors any fees to attend the event in order to keep your costs minimized. Therefore, new this is year is a $5 Reservation Fee. We have chosen to require the reservation fee rather than increasing the price of the meals to cover no-shows and other circumstances which might require out of pocket expenses. The reservation is required to attend the meal and the small fee for the reservation is credited to the price of your meal. These will be published soon on the website and available in the next issue of NORDO News.